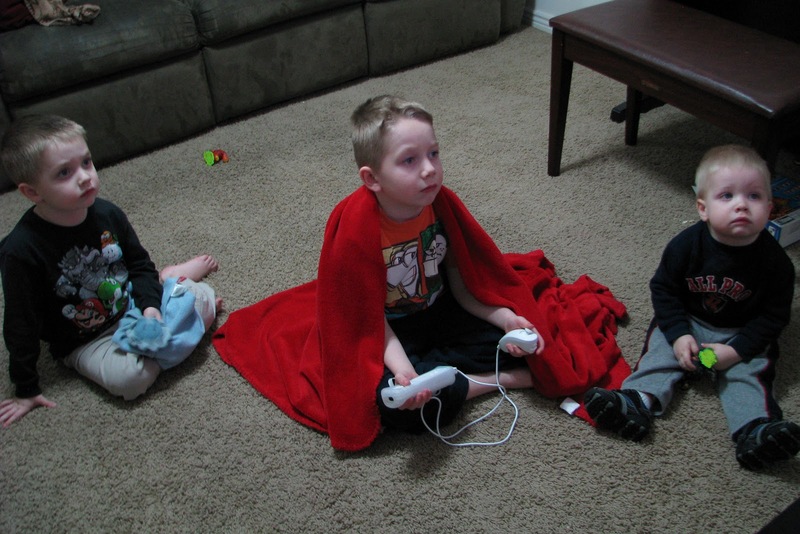 The boys enjoying their new video game "Skylanders: Spyro's Adventure". Vance is playing while the other two watch. Vance and Tanner got this game from Santa Claus. It has been a big hit with all the boys, including Stephen. It is a pretty cute...er...fun game.